How to put the selected object in the center of Canvas? 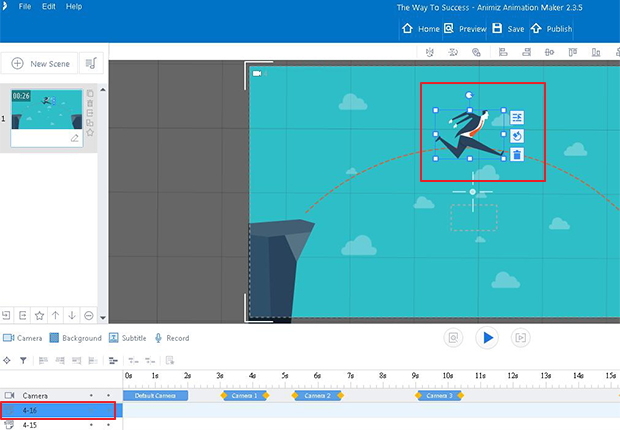 Animiz ensures a zooming canvas for you to create compelling and eye-catching videos and gifs. As you have put a great deal of elements in canvas and sometimes they will be hard to find. 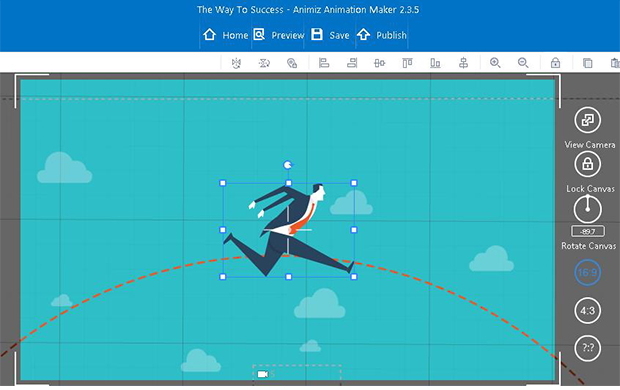 Here offers a quick way to put the selected object in the center of canvas, then you can edit it fully. 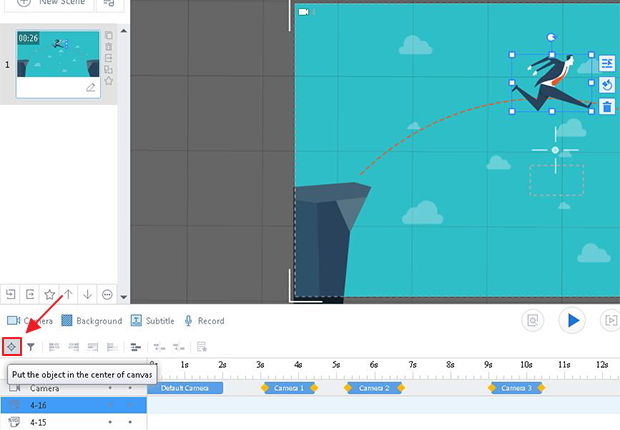 Click object in the canvas or select it in the timeline. Previous：How to change the layer order? Next：How to add a folder?